Anderson Ford Motorsport makes finding high-quality and affordable 86-93 Mustang GT, LX, or Cobra parts easier. We update our inventory regularly to meet the growing needs of Mustang owners, racers, and enthusiasts in Illinois and in other parts of the country. Whether you're going all motor, forced induction, or nitrous, we have the parts you need to get the most out of your Ford Mustang. Know where you want to go with a build, but don't know what parts you need to get there? We have kits and packages that have everything you need to get the most from your Mustang. Since we've been in the scene since its infancy, we know what works to get the most from these cars, and we can put that knowledge to work to help you build your dream car, whether you want something for the track, the drag strip, or just a weekend cruise. No matter what type of driving experience you want, Anderson Ford Motorsport is here to turn your concept into reality. If you have an idea how to modify your Stang, but you don’t know how and where to start, ask our team of performance racing experts. We would love to share our knowledge, time, experience, and expertise with you. If you want to upgrade your ride in your own garage, choose among our 1986-1993 Mustang GT/LX/Cobra performance parts and kits for sale. If you have no idea how to carry out modifications, let our experienced technicians complete the job for you. Drive straight to our service center, choose the right components with the help of our team, and we’ll do the rest. Before you know it, your muscle car will be more stylish and powerful than ever. It's hard to believe, but back in the mid-80s, Ford almost replaced the Mustang with a front wheel drive coupe. Although the "Fox Body" was a major improvement over the tepid Mustang II, performance was still lacking in the face of higher gas prices and emissions requirements. A massive letter campaign convinced Ford to give the Mustang another shot. The replacement became the Probe, while the Fox body received a long list of improvements to bring performance in line with what their customers expected from the original pony car. Sales went up 60%, saving the Mustang from cancellation. The Mustang got a styling revision in '87, but a lot of its new performance features were added in '86. As the turbocharged SVO was phased out, buyers were left with two choices: a 2.3 liter Lima four cylinder or the newly revised "5.0" 302 c.i. V8. The V8 could be ordered in any trim level, but even if the car came with the four cylinder, engine swaps are straight forward since it shares its K-member with the V8. This power is backed up by an 8.8 rear end in the V8s and either "World Class" Tremec T5 manual with a low 3.35:1 ratio first gear or Ford's AOD four speed automatic. Improvements were made throughout the model run. In 1988 California models and 1989 nationwide models, the V8's speed controlled fuel injection system was replaced with mass air flow system, making the car easier to modify. In 1992, the forged pistons were replaced with high tolerance hypereutectic pistons. Improvements to the T5 increased its rated limit of 265 lb-ft. of torque to 300 lb-ft. in 1990. Ford launched the SVT division with the Cobra in 1993. Power was improved by adding cast iron performance heads, a free flowing intake and exhaust, a revised camshaft and an underdrive pulley, while rear disc brakes compensated for the extra speed. This brought output up to 235 hp, 35 more than the standard 5.0. Although performance improved, SVT saw their first Mustang as a touring car more than a race car, fitting it with a softer, better riding suspension than the GT. 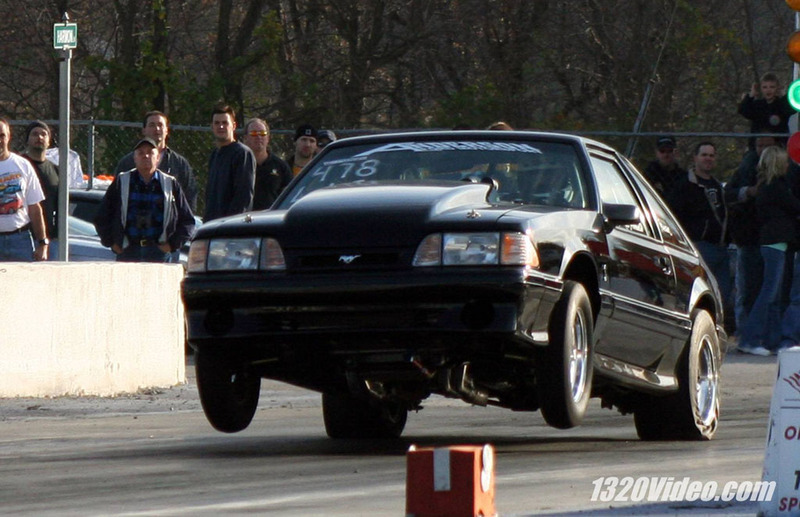 Even as Ford improved the stock Mustang, owners have always been looking for ways to improve performance. When we opened Anderson Ford in 1988, we saw a market for performance upgrades. We opened Anderson Motorsports the following year to both provide parts for our customer’s Fox bodies and support our own racing. We've worked on these cars since the beginning, helping customers to tune their machines and even develop some of our own products. Browse through our great selection of performance parts for 86-93 Mustang GT,LX, and Cobra today. Call 888-715-6487 or complete our online form for inquiries.